In print and on-line, science fiction and fantasy is thriving as never before. A multitude of astonishingly creative and gifted writers are boldly exploring the mythic past, the paranormal present, and the promises and perils of myriad alternate worlds and futures. There are almost too many new and intriguing stories published every year for any reader to be able to experience them all. So how to make sure you haven’t missed any future classics? Award-winning editor and anthologist Jonathan Strahan has surveyed the expanding universes of modern sf and fantasy to find the brightest stars in today’s dazzling literary firmament. 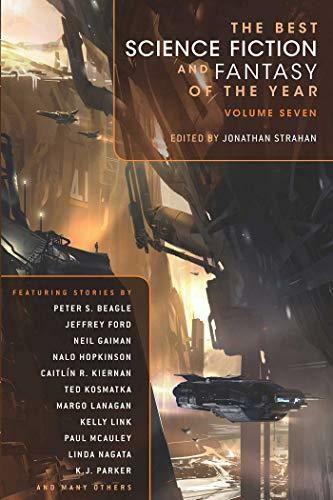 From the latest masterworks by the acknowledged titans of the field to fresh visions from exciting new talents, this outstanding collection is a comprehensive showcase for the current state of the art in both science fiction and fantasy. Anyone who wants to know where the future of imaginative short fiction is going, and treat themselves to dozens of unforgettable stories, will find this year’s edition of Best Science Fiction and Fantasy to be just what they’re looking for!